It was a very windy morning, so much so that we started out by securing the tent even more, since it was actually working enough that one of the anchor logs had rolled off! We owe someone some parachute cord, but we’ve got a bunch of rock dead-men in now. 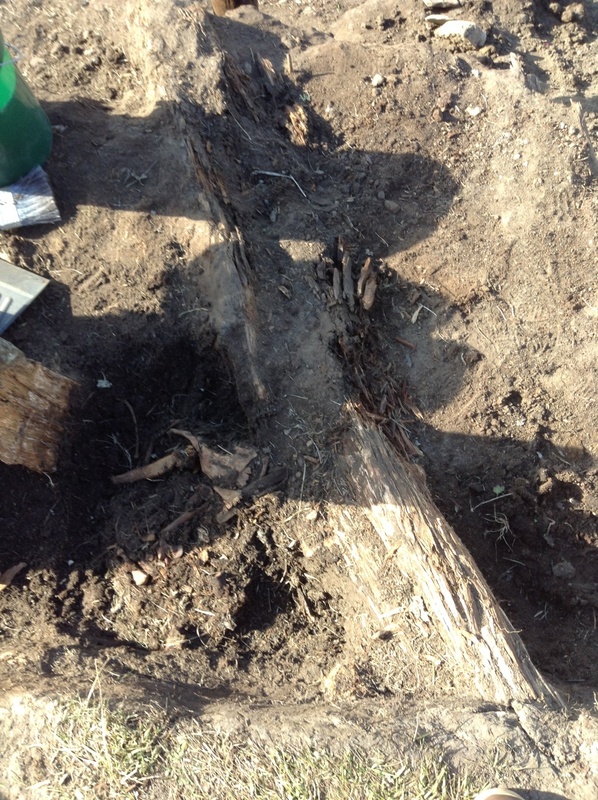 The rest of the morning went to screening, and after lunch the wind had dropped enough that we could start excavating. We finally are down far enough that the structure is starting to emerge. So far we have what appear to be two walls made of horizontal log, parallel to each other, both of which appear to have toppled to the north. 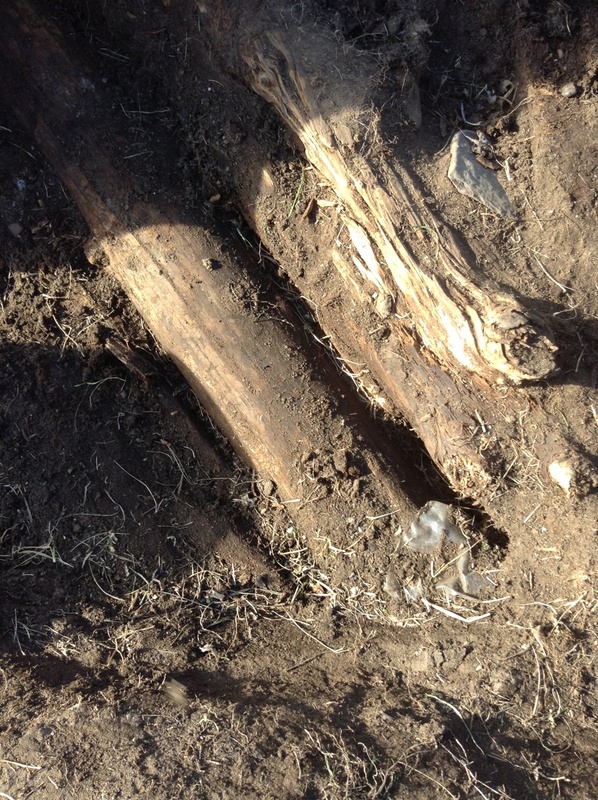 Part of North log wall. I actually took both of the pictures above with my iPad Mini, which then allows me to move them into iAnnotate PDF and draw on them & add voice notes (easy on the carpal tunnel, that). While taking those pictures, all of a sudden several of the crew were looking at my foot in some dismay! I looked down, expecting to see blood or something (it didn’t hurt, but with the broken screw in my back that isn’t a good guide), but fortunately it was just this guy. 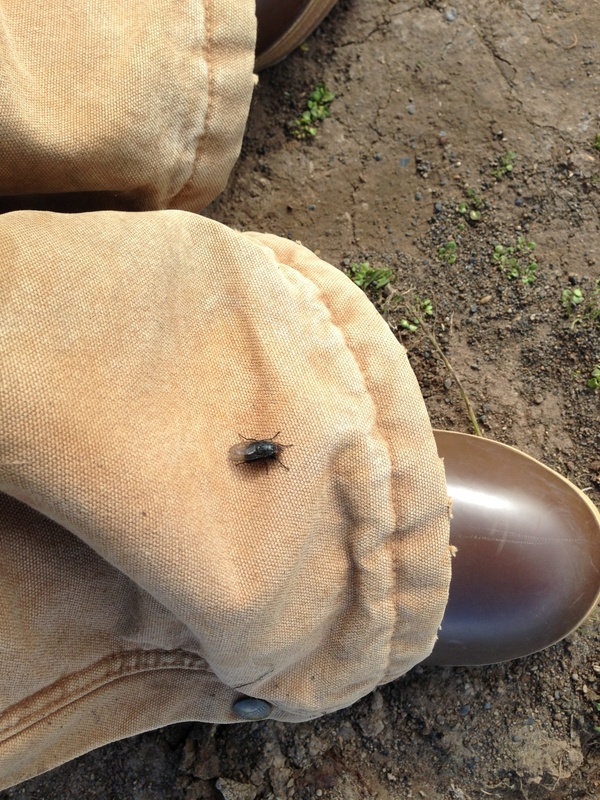 Really really big fly on my Carhartt’s. Previous Previous post: Onward & downward!